Boys Blue Nike Shirt. Size L.
Modern short sleeve polo shirt for boys from nike. this polo shirt is made of 100% durable and fast drying polyester. it has a fold-over collar with a 3-button placket for classic polo style. WAIST 28 30 32 34 36 38 40 42. PIT TO PIT 16". CHEST 34 36 38 42 44 48 50 54. LENGTH 24". WAIST 28 30 32 34 36 38 40 42. LENGTH 22". PIT TO PIT 16". CHEST 34 36 38 42 44 48 50 54. Youths Unisex. NIKE DRI-FIT. Nike 'Dry' Fabrics Help To Move Sweat. In Yellow With Black Trim. Sports / Casual Zipper Top. Size S 8-10 Years. BOYS BARCELONA FCB No.11 NEYMAR JR FOOTBALL SHIRT AGE 10-12 YEARS. Condition is Used. Dispatched with Royal Mail 2nd Class. WAIST 28 30 32 34 36 38 40 42. LENGTH 22". PIT TO PIT 15". CHEST 34 36 38 42 44 48 50 54. Two colour sports shirt, long sleeves. Nike dry fit. Length (back collar seam to bottom): 23". Shoulder to Shoulder: 14". Sleeve Length Short Sleeve. Season All Seasons. Sleeve: 7". Pattern Striped. Size Type Regular. A rmpit to armpit: 16". It started with a handshake between two visionary Oregonians - Bowerman & his University of Oregon runner Phil Knight. Long Sleeve. Athletic Cut. Check-Out Now! Sleeve Length Long Sleeve. Top of page. Nike Boy's Dri-Fit Hydro UV Breaker Swoosh Short Sleeve T-Shirt. Model: Hydro UV Breaker Swoosh; NESS5466. 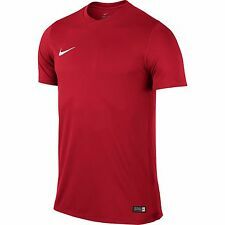 Swoosh Design Trademark At Center Chest. It started with a handshake between two visionary Oregonians - Bowerman and his University of Oregon runner Phil Knight.